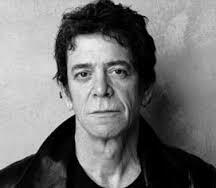 Lou Reed’s Pop Genius | Pop That Goes Crunch! The intrepid curators of the PowerPop blog unearthed and posted a wonderful piece of formerly lost pop music history — a 20 year-old “Lewis” Reed making like Dion a couple of years before the Beatles first landed in the United States. You can check out “Lewis” bouncing his way through the minute-fifty nine “Your Love” right here. It’s a nice surprise. His trademarks were a monotone of surprising emotional range and power; slashing, grinding guitar; and lyrics that were complex, yet conversational, designed to make you feel as if Reed were seated next to you. Known for his cold stare and gaunt features, he was a cynic and a seeker who seemed to embody downtown Manhattan culture of the 1960s and ’70s and was as essential a New York artist as Martin Scorsese or Woody Allen. Reed’s New York was a jaded city of drag queens, drug addicts and violence, but it was also as wondrous as any Allen comedy, with so many of Reed’s songs explorations of right and wrong and quests for transcendence. Although I have no real quarrel with that, it forgets that Reed could also pen the perfect melody. The 20-year-old “Lewis” heard on “Your Love” persisted through Reed’s later excursions into “slashing” and “grinding” guitars to write some of the best and most enduring pop music of the past fifty years.